It is not a good idea for you to make huge purchases or rather move your cash around for a period between three and six months prior to buying your new home. Of course, you do not wish to risk taking chances when it comes to your credit profile. This is the case where lenders need to have trust in you in order to secure a good loan for you. When you open new credit cards, buy big-ticket items or amass debts, it means that you will definitely have it tough when trying to apply for a loan. There is a clear distinction between a pre-qualified buyer and a buyer who is under a pre-approved mortgage. Anyone can easily be pre-qualified for the loan. But getting pre-approved is something else whereby the lender needs to have a look at your financial information before letting you know the amount of money you can actually afford and how many loans you can get. That is why you need to be pre-approved in order to save yourself a lot of your precious time and energy while looking around for those houses you cannot afford. Additionally, it gives a good opportunity to look around for the best deals as well as best interest rates. And you can always do your research to learn more about processing fees, junk fees or any other hidden costs that come with the loan. For you to know exactly what you are buying, it is essential that you carry out your survey on the property. When you are fully aware of your property lines, you can easily escape from any potential dispute that might arise with your neighbors. After all, your property tax will be based on the value of your property. So, it is prudent that you have an accurate and detailed map drawn up. Get of your mind the notion of trying to time the market in order to find out the right moment to do the purchasing. What you can do, in this case, is to try to anticipate the impossibility of the housing market. Just keep in your mind that the right time for you to do any buying is when you come across your perfect house of which you can easily afford. The real estate market can sometimes be elusive. This means there are other times it goes high and them tumbles and then goes high again. Therefore, you should never think of trying to wait for the right moment because you might simply miss out. This is the time when the size of the house doesn’t matter anymore. It is natural for everyone to get attracted to the biggest and most beautiful house around. This idea goes hand in hand with the old adage in the real estate market which says “don’t buy the biggest and best house on the block”. This due to the belief that the largest house only looks good to a handful audience and this can limit the number of potential buyers when you decide to re-sell it. Mostly, the value of your home will only improve alongside other houses in the neighborhood. For instance, if you happen to pay $500,000 for a house while your neighbor pays from $250,000 to $300,000, the appreciation of your property is likely to be limited. Otherwise, you would rather consider going for the worst house because the same house per square foot has a chance of trading better than the largest house. The main difference between renting a home and owning it lies in the sleeper costs. A number of individuals pay much of their attention to mortgage payment without focusing on the other expenses like property taxes, homeowner association dues and utilities. For new homeowners, there’s also the need to pay for any repairs, maintenance expenses and increases in the potential property-tax. With all this information at your fingertips, you need to budget for sleeper costs if you want to be covered or not risk losing your home. When you decide to buy a house, you should never base your emotions in it. Normally when you fall in love with something, chances are you might make some bad financial decisions. And that is where a big difference between emotions and instincts sets in. Your instincts mean a lot when acquiring a great house for its value. But taking your emotions with you is not a good idea given that you are making a long-term investment in your new property. You will not think of purchasing a car without checking under the wood. The same case applies to buy a house. 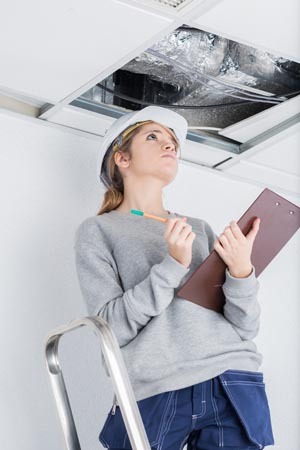 You can hire a seasoned home inspector at a cost of about $200 to check and ensure that what you are buying is in good shape and worth the penny. The information obtained by your trusted inspector will determine if you will go ahead with buying the house. In the case of other issues, you can use that as the bargaining tool to have the price lowered in your favor. When it comes to bidding, the opening bid should come in two ways; firstly, what you can possibly afford and secondly what you think of the property in terms of its worth. However, you need to be fair and reasonable in your opening bid not to send a wrong impression to the seller. Going lower is not a bad idea but it should be determined by the market forces at the time. That is why you should take your time looking at other homes within your vicinity to get an estimate of the property you want to buy. You can do a comparison by sizing up your target house through the price-per-square-foot as the main equalizer. At the same time, you can try to find out if the neighbors have plans to include additional features on their property. This new observation might help you bring down the value of the house you are about to buy. Sometimes sellers lag behind when it comes to their property taxes. If you are lucky enough to have that information you can know where to start your bid. For that piece of valuable information, you can check with your county clerk office. Apart from that, most of the sellers go for an oddball number with the aim of rounding it off to the nearest whole number and this can serve as an added advantage on your side. Before making a purchase of the property, you need to get the right lay of the land drop (by morning, noon and night). This fact will give you much confidence in the property you are about to acquire. So, you can take a while to drive by the property to get a glimpse of what is happening around there. Check how far it is located from the nearest shopping center and other places of interest. In a nutshell, these are a few of the factors that determine the real value of your dream house.